Skye Gravestones | Donald & Kate (Macinnes) Ross. Donald & Kate (Macinnes) Ross. 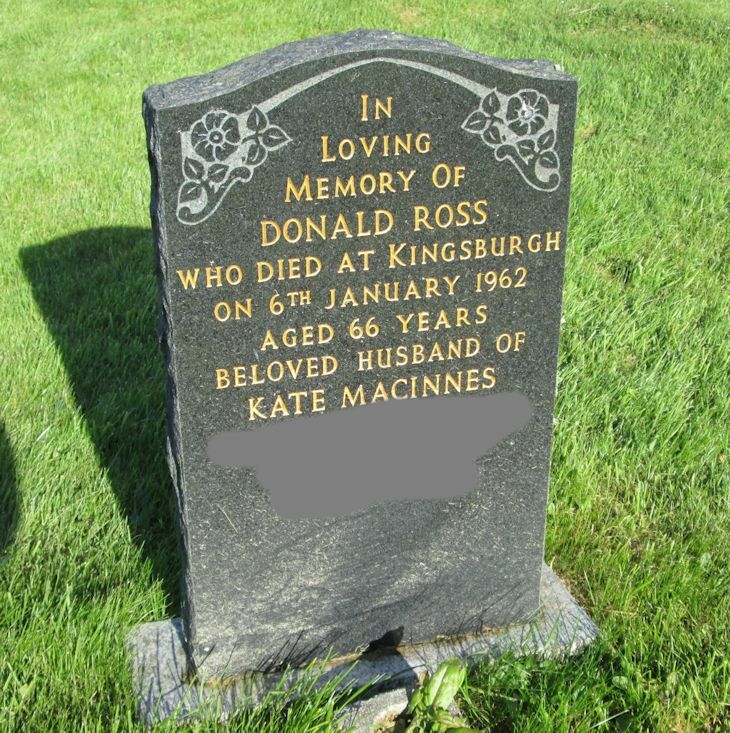 In/loving/memory of/DONALD ROSS/who died at Kingsburgh/on 6th January 1962/aged 66 years/beloved husband of/KATE MACINNES/who died at Portree/on 26th June 1997/aged 95 years.